Last year Jane Chu, Chairman of the National Endowment for the Arts (NEA), visited parts of Boston where the arts are core to community revitalization efforts. She shared NEA plans for its 50th anniversary and offered a glimpse into how the agency is preparing for the next 50 years. In addition to awarding nearly $220 million in grants during her tenure to-date, Chu has issued new research reports on arts participation and the impact of the arts and cultural industries on the nation’s gross domestic product; has made hundreds of trips to communities across the nation to see first-hand how the arts are impacting people and places; and launched the Tell Us Your Story project that demonstrates the importance of the arts in our lives. 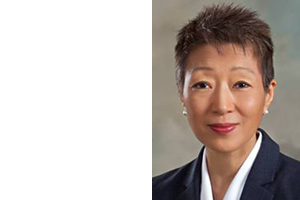 And, on the date marking the agency’s 50th anniversary – September 29, 2015 – Chairman Chu announced the details of her signature leadership initiative, Creativity Connects. The program will show how central the arts are to the country’s creativity ecosystem; investigate how support systems for the arts have changed; and explore how the arts connect with other industries.